One of the things I need to do a much better job of in the next year is drawing attention to the webcomic I write, Mo Stache. Series artist John Cordis and I have been putting a weekly page of Mo out since September of 2010, having just hit our 60th page a little while back. When we first launched the comic, I was somewhat hesistant to do a full court press to get the word out, as I didn't know if we'd be able to keep to our schedule, and we wanted to build up some content first. As we head into this year though, we are halfway through our overall story, and we want to get more eyes on it as we head down the home stretch. 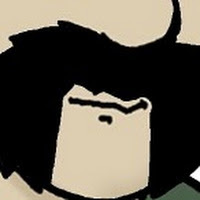 So, in addition to www.mostachecomic.com where the comic posts weekly, I've set up a Google+ page, which can be found here. The G+ page will be a place for news and updates, and I may even start posting chapters of the comic as photo albums. Our goal is to collect the whole story in one print volume when we're done, which will be sometime in late 2012. So, if you haven't checked Mo Stache out yet, head over to www.mostachecomic.com or our Mo Stache G+ page and let us know what you think! When I first began Dark Souls, I was determined to write a series of posts chronicling my adventures through the massive, brutal masterpiece of an RPG. After four installments however, my writing was completely taken over by National Novel Writing Month, which ran from November 1st through he 30th. I actually played a good amount of Dark Souls during November, both as a reward for hitting my word quotas and as a means of inspiration (I wrote a horror/supernatural novel for NaNoWriMo). Once I had completed NaNoWriMo, I took a break from writing and motored through the rest of Dark Souls, finishing this past weekend. So, while I didn't get to do the session-by-session series I was planning on, I do want to take some time to properly look back on what I think is one of the best games of this generation. For the uninitiated, here's a very superficial overview of the game--From Software's Dark Souls is a roleplaying game where your character is an undead warrior on an epic quest to either bring the fire of life back into the world, or become a god-like being yourself (or at least, that's what I took out of the story). The quest takes you through the various locales of Lordran, a land where every enemy you encounter could easily kill you. Each of the main locations in Lordran culminates in a boss battle against huge and terrifying creatures. By defeating enemies and bosses, you gain souls, which are used to level up your character and upgrade your equipment. Souls are a precious commodity, and when you die int he game, you lose all of the souls you are carrying. You must make it back to the location you died to reclaim those souls before dying again, or they are gone forever. In addition to the penalty for dying, the checkpoint system can be unforgiving which means that you will be repeating sections of the game several times before finally beating them. The game punishes sloppy play mercilessly, and rewards strategy and precision. If you want a feel for how the game plays out in a given section, check out my third and fourth posts about the game, where I detail my first few hours. In general though, I would tackle each section by battling to the last checkpoint before the boss and resting, mainly to replenish spells for my magic-based character. After the last checkpoint, I would do a test run or two between the checkpoint and the boss area, until I knew how to get to the boss while conserving as many spells as possible. If I couldn't beat the boss by myself after a few tries, I would then try to summon in an ally or two to help me. This strategy worked pretty consistently throughout the game, and there were only a few areas during my 98-hour playthrough that really frustrated me. In fact, it wasn't until the second-to-last boss that I almost snapped my controller in two. Instead, I resorted to consulting a walkthough online, and realized that I needed to change the equipment I brought into that battle in order to be successful. So now I've finished the game, and there are a number of things about the experience that have stayed with me over the past few days. First is the sense of reward and accomplishment that comes with completing the individual sections of the game, and then finishing it overall. Dark Souls is truly challenging, and not for the faint of heart or easily frustrated. It took me nearly one hundred hours to complete, so it's not something you can casually expect to finish whenever--you need to dedicate a sizable chunk of time to conquering the game. Secondly, the game is masterfully designed. I have never played a game (except maybe for its predecessor) that combines level design and enemy design in a way that achieves such a balance of challenge and reward. Each section of the game is exactly as hard as it should be to push you to your limits without being unfair. There is a solution to every problem, a way to take down each enemy, and you can figure it out. But get impatient or sloppy, and you will die. A lot. What I love the most about Dark Souls however, is the completely unique approach the game takes to multiplayer. There is truly nothing like it, and I love every aspect of it. For starters, it's almost completely optional. You can choose not to summon players into your game, and you can remain in "Hollow" form, which keeps other players from invading your game. There are only certain times when you need to reverse your "Hollow" status, like when you want to bolster a checkpoint to give you more benefits, or when you want to summon someone into your game. Essentially though, the multiplayer is optional. you can solo this game if you want. And when you do decide to team up with other, it's completely anonymous, and the only way to communicate with your allies is through gestures. Because of this, even though you are playing with others, there is still an aspect of soloing to it. When you complete an area, your allies disappear, never to be seen again. Similarly with invading characters, you will either defeat them, or they will defeat you, and then they disappear. The whole summoning allies into my game thing really added an aspect of roleplaying to Dark Souls that I loved. I adopted a "pay it forward" mentality, where I would be sure to help other players through areas that I had received help in. There were hours at a time where I would just wait for another player to summon me, help him or her beat a boss, and then go back and wait for another player to summon me. By engaging in the multiplayer, you sort of enter into the brotherhood of people who have decided to take up the challenge of Dark Souls, and you rely on each other to get through it. It's such a different dynamic than in every other multiplayer game, and I would love to see others adopt something similar in the future. As if the experience of completing Dark Souls wasn't enough, the game is designed to be played through multiple times. You get to carry all of your gear into the next playthrough, but enemies and bosses become substantially more difficult as well. As much as I thought I would be done with the game after one playthrough, it has sucked me back in. I'm already a few hours into my second go around, and I'm loving every minute of it. 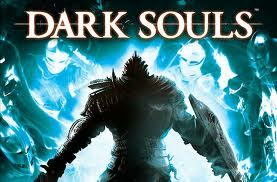 So, while none of my posts about Dark Souls has been a typical game review, let me just say that it's an amazing game, and easily my game of 2011. I highly recommend it. This past week, comedian Louis CK may have started a revolution. For those that are unfamiliar with him, Louis CK is one of the most successful stand-up comedians in the industry today. He’s got his own show on FX, and he’s widely considered to be one of the most hard-working, innovative comedians to come along in years. If you’ve never seen him, I think this tribute he did to George Carlin (one of my all-time favorites) will give you a good idea of what he’s all about. Anyway, Louis CK filmed a brand new, one-hour comedy special and decided he was going to make it available through his website for the asking price of five dollars. For five bucks, consumers get a DRM-free download of the special, which they can play on any device they want, burn to a DVD, etc. All of the material in the special is brand new, and he made it available to his fans for five dollars. 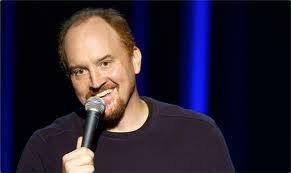 In four days, Louis CK has sold over 110,000 copies of his comedy special, and made about $500,000. The video and website production cost him about $200,000, and factoring in other expenses, he has made approximately $200,000 in profit. Louis wrote a great post about all of this on his site, but the gist is this: if you make something great, sell it for a reasonable price, and make it as accessible as possible, people will but it from you rather than steal it. His little experiment is proof of this, and it’s a philosophy I’ve always held. There are other examples of this out there that are working. The Double Feature comics app is another shining example of putting out a high-quality product at a low price and being successful. Issues of the comic feature two stories, tons of extras, and are released monthly for $.99. I think it’s important to acknowledge success stories like this, because in my opinion, these types of business models reduce or remove entirely the barriers between the creator of content, and the people who want to enjoy that content. Congrats to Louis CK, and viva the revolution! This time of year, we all have our holiday favorites when it comes to music, movies, tv shows, and books--the stories we return to again and again to remember what the holidays are supposed to be all about. My personal favorite is a story that you might not be familiar with. In fact, I hope you aren’t, so that you can experience it for the first time this year. The reason it’s not as well known as many other holiday tales is that it comes from an unlikely source--The Twilight Zone. Thats right, the anthology series known for being creepy, twisted and in many cases outright scary gave us one of the greatest Christmas stories of all time. 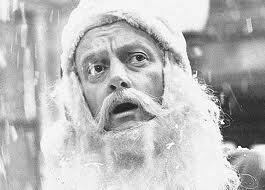 The eleventh episode of the second season of The Twilight Zone is called “Night of the Meek.” In it, the legendary Art Carney plays Henry Corwin, a department store Santa with a drinking problem. When he gets fired from his job, he explains to his manager that the reason he drinks around the holidays is because he can’t bear to see all of the hopeless children and poor families go without each year, and he is saddened by what Christmas has become to most people. He just wishes that for one Christmas, he could be Santa Claus, and give the people in his neighborhood something to believe in. Through the magic of the Twilight Zone, Henry gets his wish, and he doesn’t waste the opportunity. Art Carney is fantastic in this episode, and it’s truly a great reminder about the hope and joy the holidays can bring if we remember what they’re supposed to be about. It’s my favorite Christmas story ever, and I would encourage everyone to check it out. If you have Netflix, you can find it in the Holiday Favorites section right now. Or, you could just watch it in the players below--but I would hurry, before some Scrooge comes and takes it down. This is not a review--I just had to write about what I experienced the other day. From the first trailer I saw for The Muppets, though, I had hope. I love Jason Segel, and when I found out how much he did to make this movie a reality, I began to get excited about how good it could be. The the reviews came out last week, and were almost universally positive. 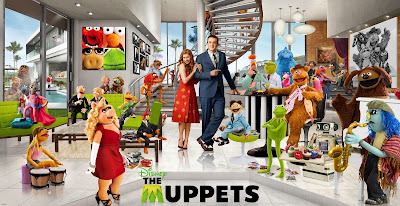 I was really happy as I sat down in the theater with my two kids the other day, thinking about how cool it was going to be to see a new, fun, Muppet movie. Within the first five minutes of this movie however, I was literally crying tears of joy. because this movie is absolute magic. I am not going to spoil one moment of it for you, because you need to go see it. Like right now. If you have ever liked the Muppets, you will bawl your eyes out during this movie. It is a complete love letter to my childhood, and I was shocked at how emotional I was to see all of these characters again. 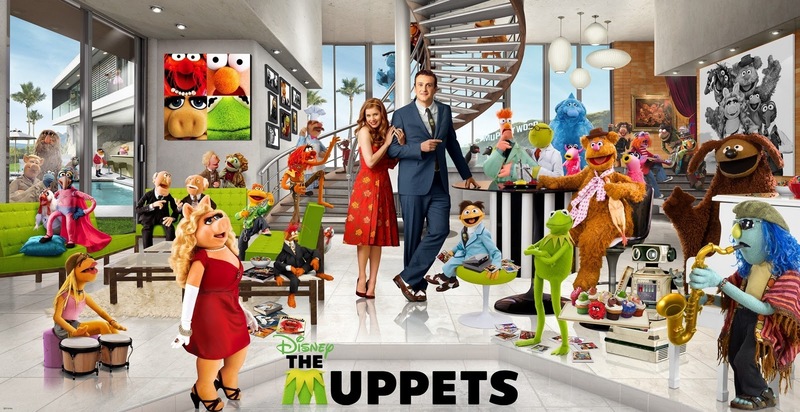 On top of that, you can see the love that every person involved has for the Muppets--it oozes from every single scene.